In many ways, Chicago artist and producer Sir the Baptist is a chaplain in the R&B scene. He creates hip hop infused music that bridges the gap between his gospel roots and the world around him. Jim and Greg talk to Sir about making music with a message, plus he performs in studio with a 10-piece band. 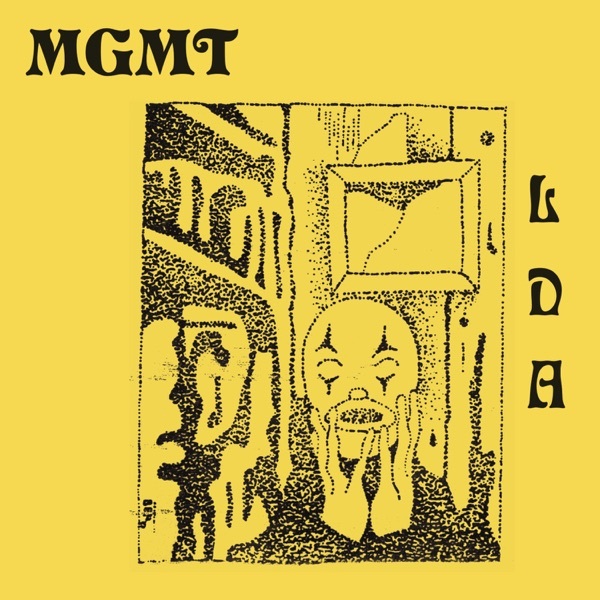 Jim and Greg will also review the new album from MGMT. Sir The Baptist is an up-and-coming artist that blends hip hop swagger with his gospel roots. But, he doesn‘t turn a blind eye to what’s going on in the world around him. Not unlike The Staple Singers, Sir is an artist who believes in delivering a message in his songs, whether it's tackling domestic violence with "Deliver Me," or with violence in the streets with "Wake Up." He grew up in the church, in fact, his father was a preacher. That background is what keeps him committed to making music that helps to“change the world.” Sir and a 10 piece band joined Jim and Greg in the Jim and Kay Maybie Performance Studio to perform songs from his debut album, Saint or Sinner (one of Jim and Greg's Best Albums of 2017), and to talk about the message in his music. The pop electronic group MGMT just released their fourth album, Little Dark Age. Formed at Wesleyan University, the band found critical and commercial success almost immediately with their debut record Oracular Spectacular. Since then however, the band has failed to garner as much attention. Greg is a bit torn on this album. He thinks there are some horribly cliched and bad tracks like "She Works Out Too Much" and "TSLAMP," but he also argues that there are some pretty catchy and solid pop songs ("When You're Small," "James".) He gives Little Dark Age a Try It. Jim is far less enthused with the record. On paper, MGMT seems like a band Jim would love, but in reality, he's not the slightest bit smitten. He calls them“smug, derivative and pretentious”and says he would trash this album a million times over. Needless to say, he gives it a Trash It. Greg wants to pay tribute to the late Dennis Edwards, one of the lead singers of The Temptations, by putting a quarter into the desert island jukebox. Edwards died in early February at the age of 74. He was the lead singer during the band's second big era, where they delved into the genre of psychedelic soul and made some unforgettable contributions. Greg chose the song "Ball of Confusion (That's What the World Is Today)" because it's a great example of Edwards's vocal capabilities and he finds the theme of the track quite applicable to 2018.